Released on: October 31st, 2017. 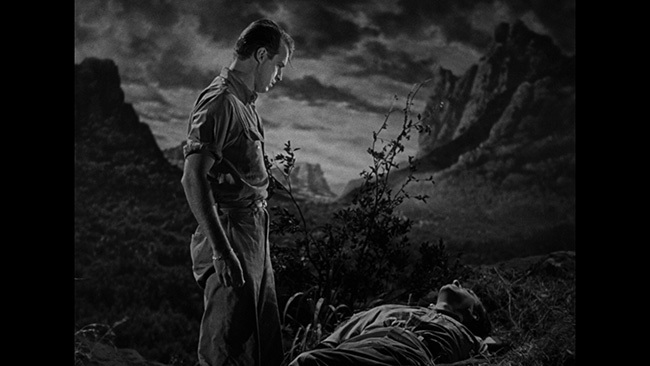 Directed by Lesley Selander for Republic Pictures in 1945, The Vampire's Ghost takes place in Africa. 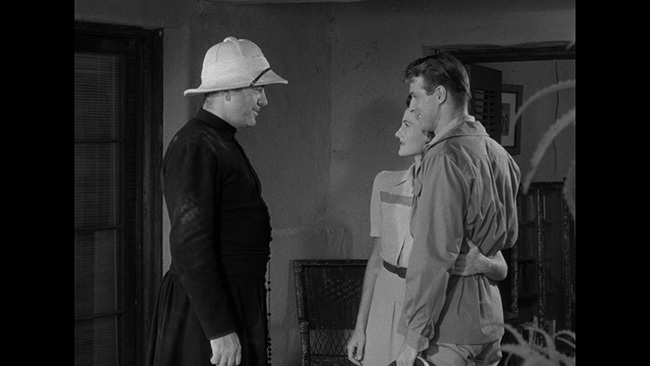 Here a British man named Webb Fallon (John Abbott) runs a night club where the locals gamble and drink and enjoy performances by a beautiful dancing girl named Lisa (Adele Mara). 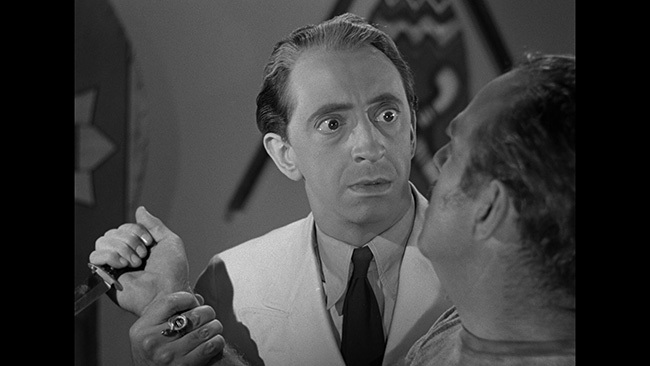 When a sailor gets out of hand after losing all of his money to Webb, a fight breaks out and his friend Roy Hendrick (Charles Gordon) jumps into the fray. Before it can get too serious, however, the sailor puts his knife away seemingly because Fallon starred at him… very intensely. 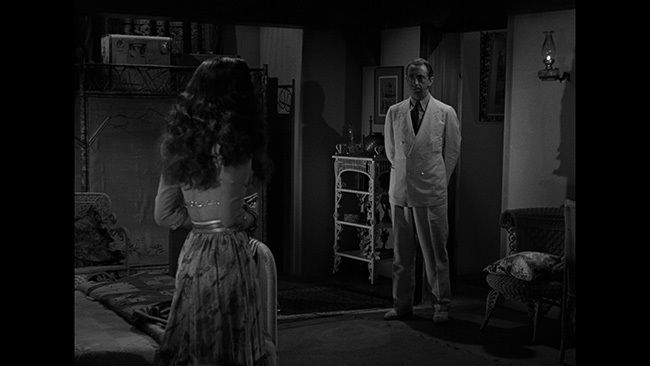 There are a few moments here that remind us of the 1931 Universal classic Dracula (a shot in Julie's bedroom in particular really harkens back to that) but the script by Leigh Brackett and John K. Butler manages to carve out its own little niche and make for something different. 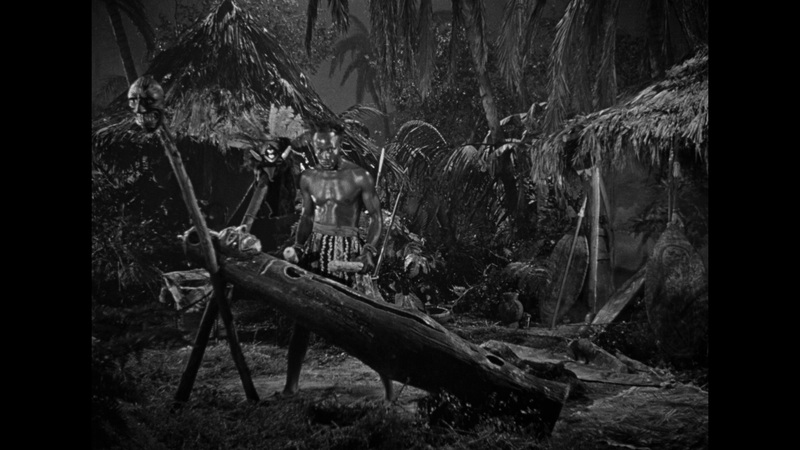 Of course, the African settings (which are clearly set on a soundstage or backlot somewhere) help set this one apart, working in the natives and their culture into the story here and there in interesting ways. The movie's politics aren't particularly progressive in this department and the movie is clearly a product of its time, but still, the film is interesting in this regard. 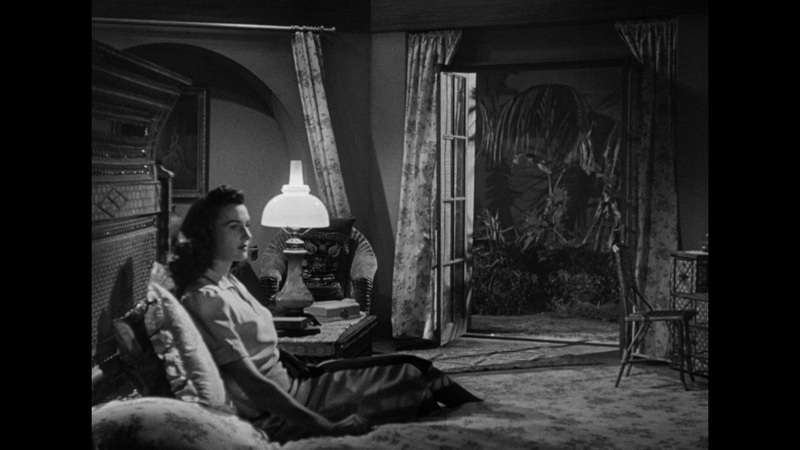 There are also some very nicely shot scenes in the picture that give it a fair amount of atmosphere. 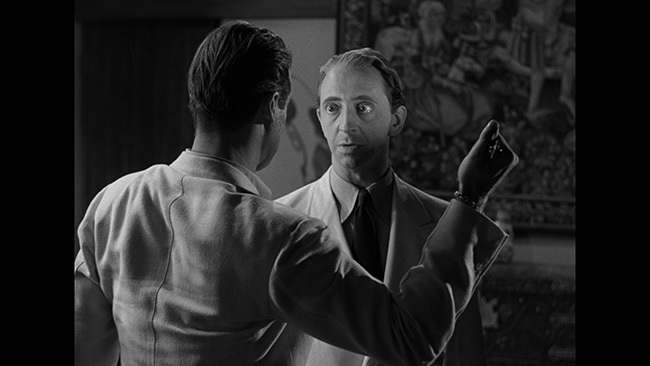 It's unlikely modern audiences will find the film particularly frightening but there are moments, the death scenes in particular, that are macabre enough to stand out. 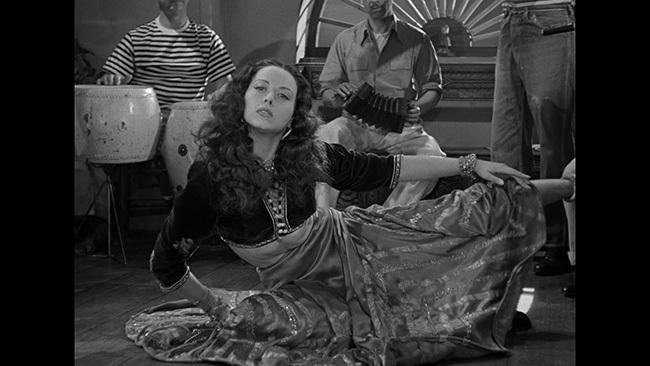 On top of that, we get a fantastic dance sequence in which the gorgeous Adele Mara really struts her stuff. There's a bit more style here than you might expect given that this is a creaky old poverty row horror picture. Selander's direction keeps the pace quick. The cast are solid. Grant Withers is noble and likeable as the village priest, blessing children and townsfolk in the opening scene and seeming to care about ‘his flock' in all the ways that he should. Peggy Stewart isn't given as much to do as Julie, she's more or less a damsel in distress here, but to her credit she does just fine in the part. She's pretty, wholesome seeming, we like her. Charles Gordon makes for a decent enough hero. 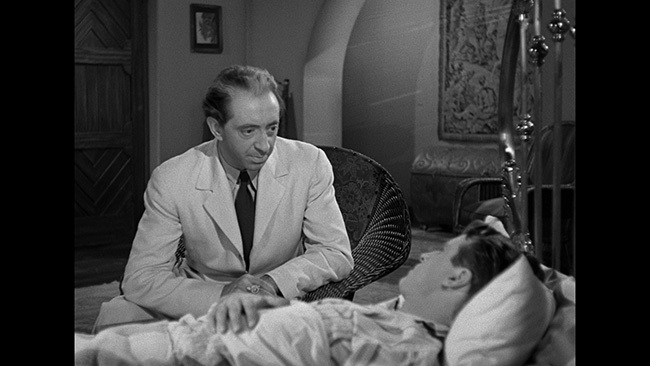 As Roy Hendrick he tries to do the right thing, getting mixed up in Webb's lies and taken by his charms. Again, we like him and if Gordon isn't necessarily stretching all that much as an actor in this picture, he's enjoyable in the part. The real star of the show, however, is John Abbott as Webb Fallon. He's an atypical vampire, never hissing at his victims or skulking about in the shadows but rather social, talking up customers at his establishment and more than happy to go to dinner with Hencrick and company. He even joins the rest of the men on a jungle expedition when trouble arises. He's charming, suave and intelligent and while we know right from the opening that he is in fact a vampire, that never takes away from the enjoyment or quality of his work in front of the camera in this picture. 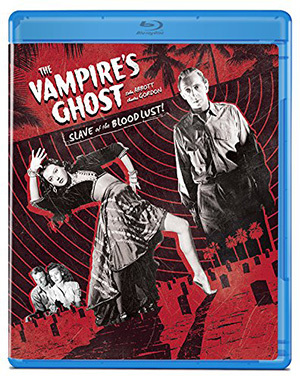 The Vampire's Ghost debuts on Blu-ray from Olive Films in a 1.33.1 fullframe transfer presented in AVC encoded 1080p high definition on a 25GB disc, which his fine given that the feature runs only fifty-nine minutes. Detail here is pretty solid and while some minor print damage is present in the form of some small scratches and specks throughout the film, the source used for the transfer was evidently in fairly good condition. Grain is present throughout the presentation but it never gets so heavy as to distract from the generally solid detail and texture that the HD transfer offers. Black levels are quite good and contrast seems fine. The English language DTS-HD Mono Audio track on the disc is pretty good. The score sounds quite strong here and helps to really ramp up the tension in the last twenty minutes or so. The dialogue stays crisp and clear, it's never a problem understanding any of the characters. Levels are well balanced if a little low at times. As it is with a lot of older movies, the limitations of the source material do come through, as they should, but this is a clean track that suits the movie just fine and which doesn't suffer from any serious problems. There are no alternate language options here, although subtitles are provided in English. There are no extras here at all, just a static menu offering chapter selection. The Vampire's Ghost is atypical of horror pictures of its time, but it's no less entertaining and interesting for it. The movie features a solid cast, some memorable set pieces and an interesting concept. 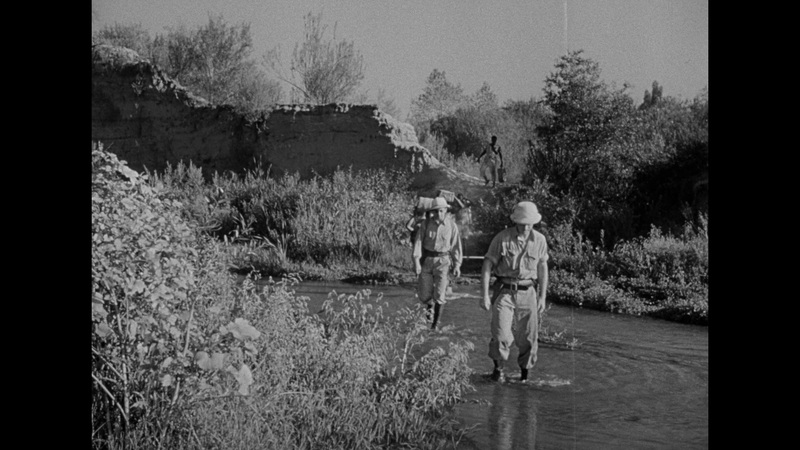 If Olive Films' Blu-ray release is the very definition of barebones and entirely devoid of extras, it does look and sound quite good. Recommended. I'm really happy with this release as it looks outstanding. I think the first time I saw it was on the Sir Graves Ghastly show back in the late 60's.